All children have them; that internal Sat-Navs that seems to alert them to the nearest McDonald’s, soft play centre, or whatever else it is that they love to go. They seem work unerringly well in these situations. 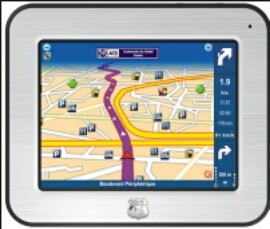 I had a sat nav once, sent me to Heathrow instead of the M4 and was quite insistent it was right! This is very true! children definitely have their own sat navs along with ‘are we there yet!!!!’. Mcdonalds locations are firmly fixed into their brains!